Most organizations are using a learning management system. The adoption of this technology, along with nonstop technological changes and updates, has significantly altered curriculum development. The purpose of this blog post is to propose a design framework to help curriculum designers and developers plan their curriculum in ways that embrace new technologies and cope with the design complexity. What curriculum objectives need to be attained? 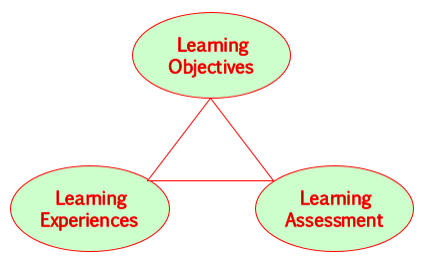 What learning experiences should be selected to achieve those objectives? How can these experiences be effectively organized or sequenced? How can we determine if the objectives are being reached? Emphasis on student readiness and preparation. Step 1: Determine the learning objectives as required by curriculum standards, program specifications, and/or societal needs. Step 2: Determine learning experiences (materials, activities, tools, etc.) that help students to achieve the learning objectives desired, and organize those experiences into a logical, holistic, and development-appropriate format. Step 3: Determine the evidences which can be used for the evaluation of the objectives and create evaluation instruments accordingly. Step 4: Determine guidance and support that might facilitate student learning and promote learning independence, including a welcome letter, course orientation, tutoring process, study strategies, etc. 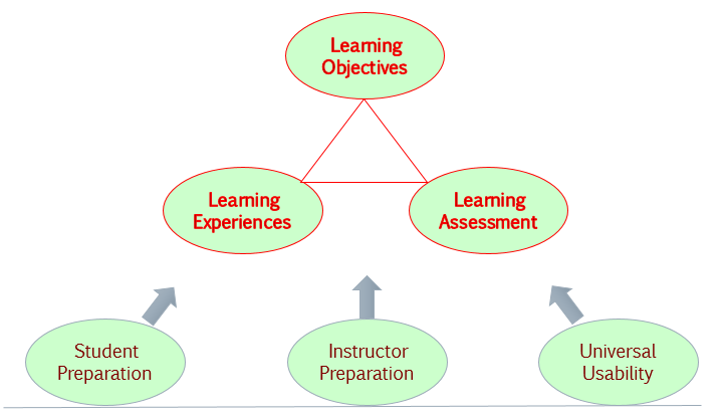 Step 5: Determine guidance and support that might prepare and facilitate instructor teaching, including preparation guide, lecture notes, enrichment materials, etc. Step 6: Apply and integrate usability practice to promote the ease of use, satisfaction, and learnability of designed learning process and objects. The new design framework is intended to respond to the current and emerging educational situations and expectations. By using this design framework, we hope that the curriculum planning and design process is enhanced in the digital learning environment. We also hope the framework can inspire foundational areas and standards for quality assurance in higher education and other organizations.